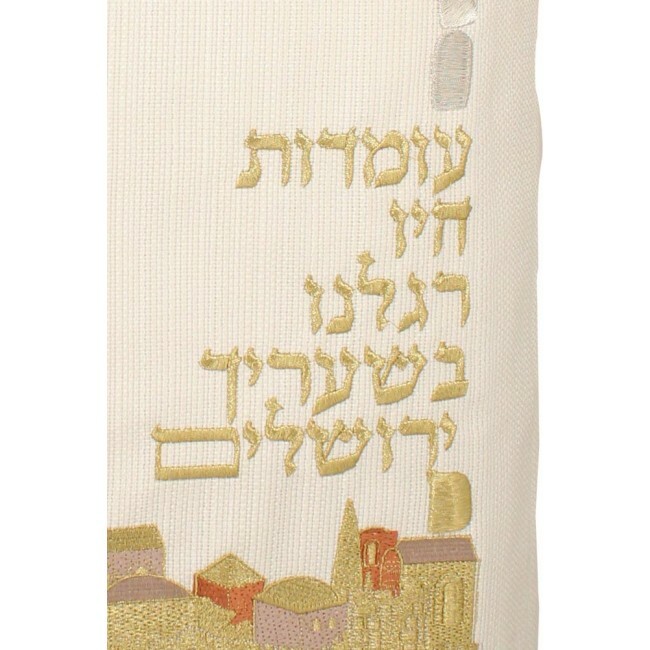 This Torah Scroll Cover has a unique Jerusalem Design. The wording “Zion shall go forth the Torah” is arched above the Jerusalem Skyline design. To the right of the buildings is a verse from Tehillim (Psalms 122). The gold, silver and burnt orange threads create an enticing color scheme. The ivory velvet background adds to the splendor. 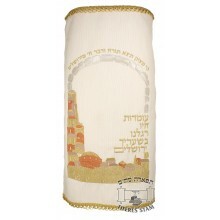 This Torah Cover is machine embroidered. 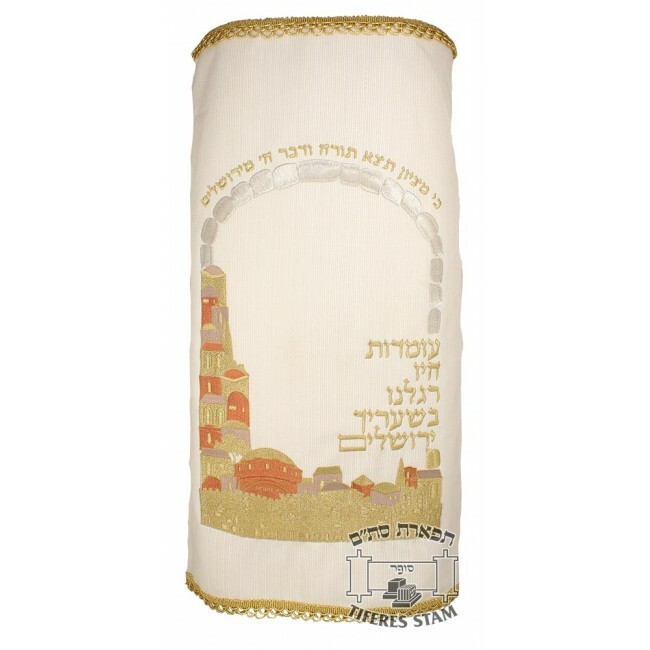 Sefer Torah Mantels are fashioned with open or closed backs, with or without fringes. All our Torah mantels are finished with reinforcement rings to guarantee many years of long lasting use.